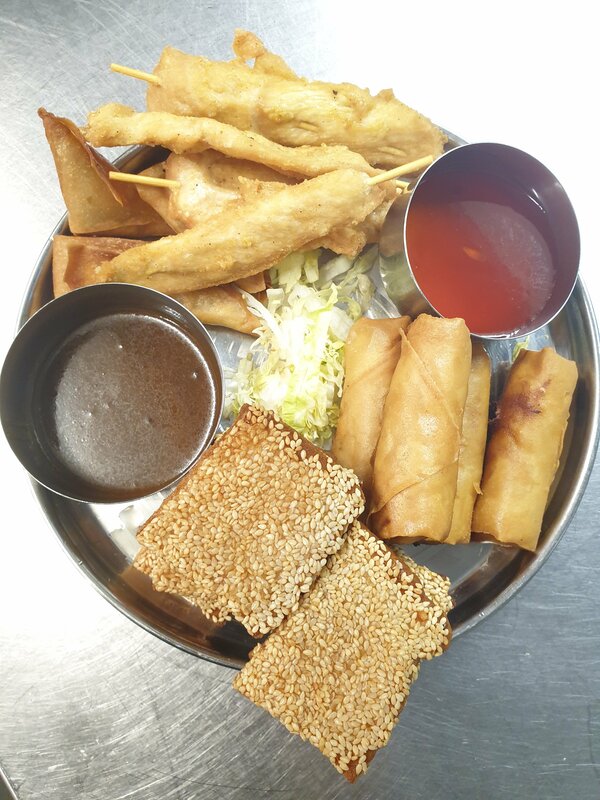 Party platter of sesame prawn toast, vegetable spring rolls, satay, Chicken sticks and crispy samosa with a sweet & sour dip. Enjoy. Thank crunch crunch its Friday. Book into the restaurant or we can deliver via Deliveroo.